The healing arts, like the martial arts, are unlimited in scope and breadth in Kosho Shorei Ryu. The use of terminology, in an attempt to define our study, can cause us to confine our study. Kosho Ryu uses the term Shiatsu to represent the hands-on healing arts. Those of you reading this with any knowledge of shiatsu whatsoever have already formed an opinion of what Kosho Ryu does, and therefore does not practice just by reading this term. Caution yourself in reading or studying anything about Kosho Ryu not to limit what you perceive the study to be. Kempo means study. Study of the self. Study of natural law. Kosho Ryu Kempo-ka do not allow themselves to be limited by what they study, only to grow by it. The Kosho Ryu healing arts are vast, and could be studied for many lifetimes. Shiatsu, the Japanese art of finger-pressure massage, is fairly new. It traces its development back to Anma, and the beginning of humanity. The first time someone rubbed a tender body part, therapeutic massage was born. The historical foundations of Kosho Ryu and other Asian healing arts derive from two areas. The Yellow River area of China gave us predominantly anma massage and acupuncture. Southern China's healing arts produced an abundance of knowledge of herbology. When the unification of China occurred, healing arts masters from both influences combined their knowledge. The natural laws under which both groups operated independently were the same; merely their methods of treatment differed. Kosho Ryu Kohyo (therapies) use a combination of herbs, body work, Kosho Shorei Yoga, and acupuncture to effect the desired results. The proportion of each used depends on the specific circumstances involved in each case, the condition of the recipient, and the experience of the practitioner. Kosho Ryu healing arts do not seek to cure diseases, but rather to enhance health. In other words, we are not reactive, we are proactive. Our kohyo are preventative just as our martial arts are preparatory in nature. We would seek to diminish or redirect an opponent's intent to harm us in a physical way, before his intent caused him to act physically to do so. Similarly, we would prevent illness from rooting in the first place rather than attempt to cure a chronic condition. This is done through understanding the nature of disharmony, and through an emphasis in preparatory arts which in this case mean proper diagnosis using Boshin (observation), Bunshin (interrogation),Munshin (listening and smelling), and Setsushin (feeling through touch). 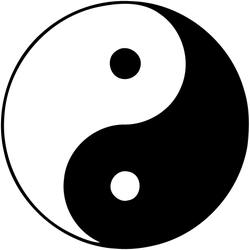 Health is balance, and occurs when In and Yo (Yin and Yang in Chinese) are in relative accord with each other. When we get out of balance, health diminishes; disharmony replaces harmony. Kosho Ryu students are taught to become more aware of ourselves and the nature of life and health, and to use this knowledge to prevent ourselves from allowing conditions to get to a state of severe disharmony. The more aware we become, the sooner we catch disharmony, and the easier we are able to correct for them. Herbs, massage, and acupuncture are three methods we use to re-harmonize specific imbalances according to the principles of In and Yo, and the five elements. We also use Kosho Shorei Yoga, which is a specific self-healing and fitness-building art developed by the same warrior-monks who developed our martial arts. These exercises of energy collection, and physical and mental development target specific aspects of our bodies and minds needed for our unique style of martial arts and strengthen them. We also study Chi Gung, a Chinese method of energy collection and projection exercises and postures designed to increase health through re-harmonizing the internal energy. All of these topics, and many related ones are studied within the Kosho Shorei Ryu healing arts. Kempo means study. This is Kempo. In addition to the obvious benefits to our health and the health of anyone we might develop the skills to treat, the study of healing arts plays an additional role in Kosho Ryu. By understanding the body better, we are much more capable martial artists. By understanding the flow of energy through the body, the contraction and relaxation of muscle groups, the skeletal system, and other aspects of the body, we can escape from, manipulate, or damage it much more precisely. In so doing, we are able to better control the outcome of a conflict, doing only the necessary degree of damage to anyone attacking us. But that is only half of the martial benefit. The other half involves the most necessary mental aspect of effective healing arts. The Japanese call it Shin: empathy. Effective healing arts practitioners must care about the wellness of their client. Only when we hold a feeling of Ichi Tsubo, one-pointedness, where we feel no difference between ourselves and our client, can we be maximally effective. The same is true of martial arts.